What is Halsnead Garden Village? Halsnead is a unique and exciting opportunity and a key part of ambitious growth plans for Knowsley. 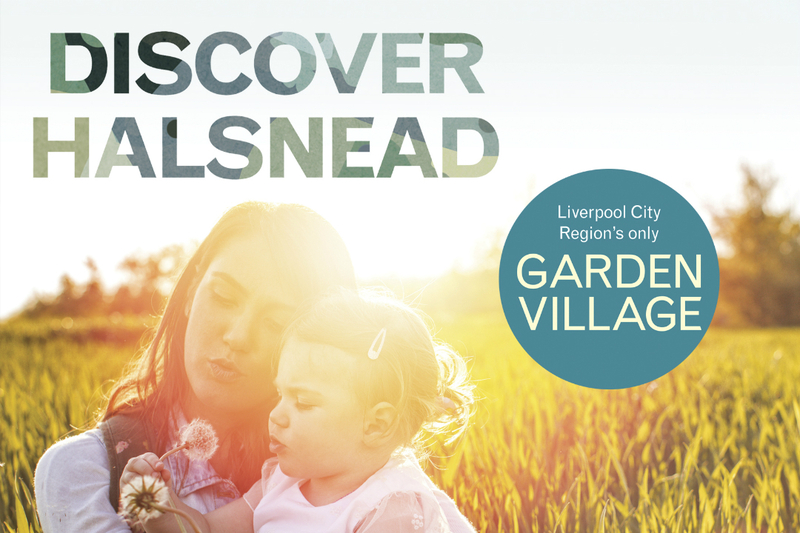 Halsnead Garden Village will be a new, vibrant community that is integrated with Whiston and offers a very high quality residential environment and employment space in a distinctive setting. It will create significant areas of high quality greenspace for use by new and existing local residents. At 174 hectares it is the largest combined housing and employment site in the Liverpool City Region and one of only 14 sites in England awarded Garden Village status by the Government. Where is the Halsnead site? South of the M62, where land is bounded by Cronton Road, Fox’s Bank Lane and the M62. How much new development is proposed? There is the potential to develop around 1,600 new homes alongside 22.5 hectares of employment development, a new country park and community facilities. Halsnead Garden Village will secure in the region of 1,000 jobs and £40.5m of net Gross Value Added (GVA) per annum. What is the Halsnead Masterplan Supplementary Planning Document? The Masterplan Supplementary Planning Document (SPD) is an approved planning document, which will help to guide development at Halsnead. It sets a strategy for comprehensively developing the site as a sustainable and high quality ‘garden village’. 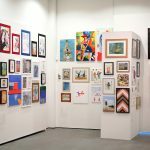 It can be viewed on the council website. What types of homes will be built? Halsnead will accommodate a range and mix of high-quality housing types from one to five bedrooms, helping to ensure a choice of housing in the Garden Village tradition, while delivering an efficient and sustainable use of land. There is a particular opportunity to deliver an improved range of larger family homes at Halsnead. Affordable housing must be fully integrated with market housing and the overall level and type of affordable housing will be informed by evidence regarding local needs and economic viability. Are any improvements planned to the greenspace and local facilities? As a Garden Village, Halsnead’s ‘signature’ will be the extent and quality of green infrastructure, including delivery of a country park, accessible woodlands and parks, play areas and playing fields. A well-connected blue and green infrastructure network will bring a wide variety of benefits to the new and existing Whiston community including ecology and biodiversity, drainage, recreation, health, connectivity and sustainability. These facilities will be available to new and existing local residents. Are more school places planned? Additional educational facilities are proposed in the Masterplan SPD, including primary and early years places, and each housing developer will need to contribute towards their delivery. How will the risk of flooding to the site be mitigated? There is an opportunity to utilise the natural fall in the land and existing watercourses within Sustainable Drainage Systems (SuDS). These facilities are designed to drain away surface water through collection, storage and cleaning before allowing it to be slowly released back into the environment and will be integrated into the surrounding green infrastructure. Drainage proposals will be required to meet necessary technical requirements relating to flow control and water quality and a Flood Risk Assessment will be required in support of development proposals. Are any improvements planned to the surrounding road network? Knowsley Council has already delivered walking, cycling and environmental improvements along Pennywood Drive as part of the Liverpool City Region Combined Authority’s Sustainable Transport Enhancements Package (STEP), which improves connectivity to Whiston Rail Station. Knowsley Council has also secured £12m funding from the Liverpool City Region Combined Authority in January 2019 to enable the delivery of major transport infrastructure improvements. This will include Tarbock Island at junction six of the M62 and a further six local junction improvements to build adequate capacity and resilience in the surrounding highways network and improve access to the Halsnead Garden Village site and to the wider Liverpool City Region. Fox’s Bank Lane/Cronton Road – signalisation works and road widening. Lickers Lane/Fox’s Bank Lane – signalisation works, footway improvements and vegetation removal. Stoney Lane/ Cumber Lane – signalisation works. Stoney Lane/Dragon Lane – carriageway widening and creation of a new right turn. Windy Arbor Road/Greene’s Road – reconfiguration of existing signalised junction. Lickers Lane/Windy Arbor Road – carriageway widening and signalisation. M62 Junction 6 Tarbock Island – carriageway and bridge widening on Windy Arbor Road, quadrant widening to the gyratory and additional lane provision on the M57 approach and signalisation of existing arms. Development will also ensure high quality, convenient, safe and attractive pedestrian, cyclist and equestrian routes into and throughout the site. Will there be improvements to healthcare facilities? 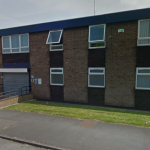 The NHS Knowsley Clinical Commissioning Group will confirm the healthcare improvements required to support the expected population growth from Halsnead and each housing developer will need to contribute towards these improvements. How will high-quality development be secured across the site? To ensure that the quality of design remains consistently high a Places Matter! Design Review Panel has been established to review development proposals for Halsnead to ensure they meet the vision for a Garden Village set out in the Masterplan SPD. A number of developers and house builders are currently interested in delivering new homes and employment space at Halsnead. Bloor Homes and Stewart Milne Homes have consulted with local residents during early 2018 to hear the views of local people in relation to their plans before submitting planning applications. Before any development can begin planning applications will need to be submitted and assessed by the council against adopted planning policy. As part of this formal process consultations with members of the public and stakeholders will be carried out. The members of the Planning Committee will determine planning applications and subject to their approval and compliance with any conditions, development can start on site. The relevant adopted documents planning applications will need to demonstrate compliance with include the Knowsley Local Plan, the Halsnead Masterplan SPD and the vision for the Garden Village. Bloor Homes submitted a valid planning application in January 2019 for up to 400 homes at Halsnead (18/00283/HYB). Stewart Milne Homes submitted a valid planning application in February 2019 for 197 homes at Halsnead (18/00660/FUL). Planning applications will be available to view on Public Access on the council’s website, using the reference number. Links for making representations regarding the planning applications will be available on Public Access during the consultation stage of the application. The Halsnead Masterplan Supplementary Planning Document (SPD) can be viewed on the council’s website.